Here’s the thing about Colleen Hoover’s books. They are addictive. There’s no denying the way she has a way with words that just draws you into the world she’s created and makes you feel. 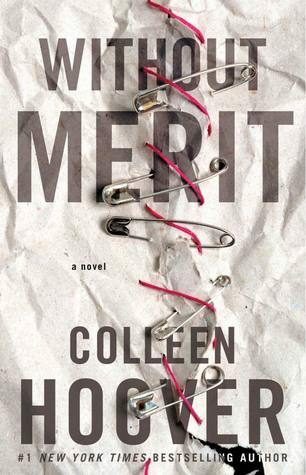 WITHOUT MERIT, while maybe not my absolute favorite by her, is a gripping story about a girl and a family that need to heal. Mistakes made in innocence or ignorance have had a snowball effect and the repercussions are at an all time high. I don’t want to tell you much about what happens in the book because, honestly, what’s the point? I’ll tell you how it made me feel. Just like with her last book, this was a thought-provoking read. Amongst the mess our characters find themselves in, it makes you question your decisions in their circumstances, your assumptions based on the evidence the characters see, and makes you understand the value of perspective. Because it’s so easy to brush that aside as something we all know we need to have but so few of us use it. We always jump to the most convenient assumption about everything and that may be the reason we end up hurt. This book tackles the difficult subject of mental health, and in many ways is not just about one character but a family as a whole. There are so many little details about all these peoples’ lives that need to be healed. At one point I started to wonder how much more one family or person could take because the surprises just kept on coming. But back to the subject of the book. I think Ms. Hoover managed to handle the portrayal of mental health in a way that is easy for people to open their minds to. It’s not done in a heavy way in my opinion, although there are some heavy moments in the book. I think the tone that’s used serves the narrative of this book very well and I think makes this book a great read for both young and adult readers alike. I admit, though, that some of the stuff towards the end (especially when it comes to the romantic interest) felt like it was just piling on too much. I almost didn’t think that extra “hot button” topic was necessary for me. And if I’m being honest, I never fell in love with Sagan as a character and love interest. I actually liked that the message really focused on being strong for one self and not dependent on a love relationship but I wish his character would’ve pulled me in more. I loved the way Ms. Hoover made you feel Merit’s despair… it was palpable because it was so real to her and I wanted nothing more than to give her a hug. And after that, quite frankly, send her and everyone to much needed therapy. But also we got to see Merit’s character in all her imperfections. Yes, there’s a lot going on externally that needs to be fixed, a lot of secrets and lies, but she also has a lot of things she needs to work on about herself to be better. To herself and to others. I highly encourage you to take a look at this book, even if you’re not normally a YA reader. I’m certainly not a usual YA contemporary reader but I think that Ms. Hoover managed to transcend that genre and just delivered a poignant story with a great message that hopefully will touch your heart as well. I hope you let Ms. Hoover’s words take you on this unputdownable journey. 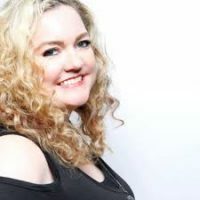 Colleen Hoover is the #1 New York Times bestselling author of fourteen novels and five novellas. Hoover’s novels fall into the New Adult and Young Adult contemporary romance categories. Hoover published her first novel, Slammed, in January 2012. It debuted at #5 on the New York Times. Since then, all her eligible works have become New York Times best sellers. Colleen Hoover is published by Atria Books, a division of Simon & Schuster. Colleen also has several self-published titles. In 2013, Colleen’s third novel, Hopeless, was the first self-published novel to reach #1 on The New York Times, where it remained for several weeks. Hopeless went on to become one of the top 20 bestselling ebooks of 2013. In 2015, Colleen’s novel CONFESS won the Goodreads Choice Award for Best Romance. That was followed up in 2016 with her latest title, It Ends With Us, also winning the Choice Award for Best Romance. In 2017, her title WITHOUT MERIT won best romance. Her novel CONFESS has been filmed as a series by Awestruck and is available on Go90.com. Katie Leclerc and Ryan Cooper star in the series. Colleen founded The Bookworm Box, a charity subscription service and bookstore, with her family in 2015. The Bookworm Box is a subscription service that provides readers with an exciting opportunity to receive signed novels in the mail each month from authors all over the world. All profits from the subscription service are donated to various charities each month. To date, The Bookworm Box has donated over $1,000,000 to help those in need. Thanks for the review, this is on my wishlist. Hope you get to it soon. I have seen this book here and their and I honestly did not think it was for me,but after reading your great review Francesca I’m sold,great job as always!!! Shared on all my socials!! Thanks Kathy! I love things that get me thinking about the what would I dos and experience something through someone else’s eyes.